What a time to be alive! ? We are so proud to announce the opening of the Verizon Innovation Community managed by JustCo! 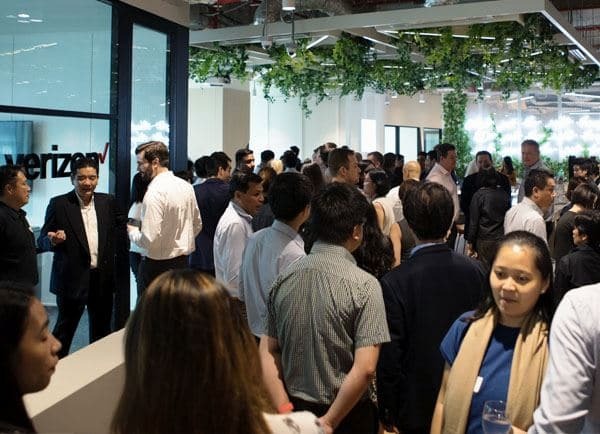 As Singapore’s largest co-working space provider and masters of our craft, nothing makes us happier than the opportunity to manage a vibrant community for dynamic companies to succeed. A huge “thank you” to over 150 of our guests who came down to witness the official launch – it was humbling and an honour to have them all share such a momentous occasion with us. The event saw bottles of champagne flowing liberally, lively banter, and business cards being exchanged. “It doesn’t matter if you’re a big brand or a small brand, or even a start-up in technology. 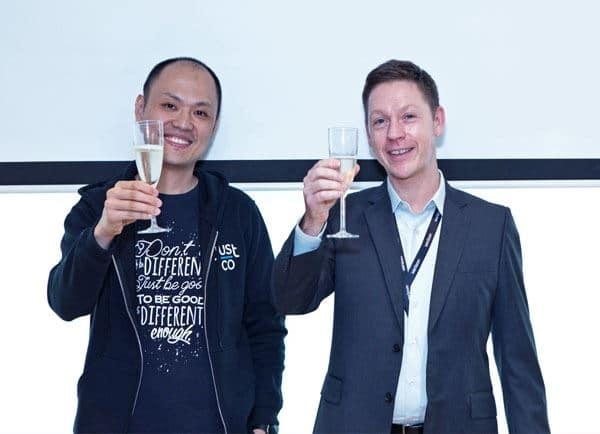 Crazy ideas just happen when people come together and collaborate and I think JustCo and Verizon together epitomizes that spirit perfectly,” remarks Su Hock, Head of Channels at Dropbox. So here’s a toast to a changing future; where possibilities are infinite. To more collaborations…and communities just like this. Let’s make work better together! …membership tiers are available to fit your needs. As members, you’ll be able to access Verizon’s technologies and a global network of resources, plus discounts on their products and services. Simply drop us an email here for pricing information on all the membership tiers.